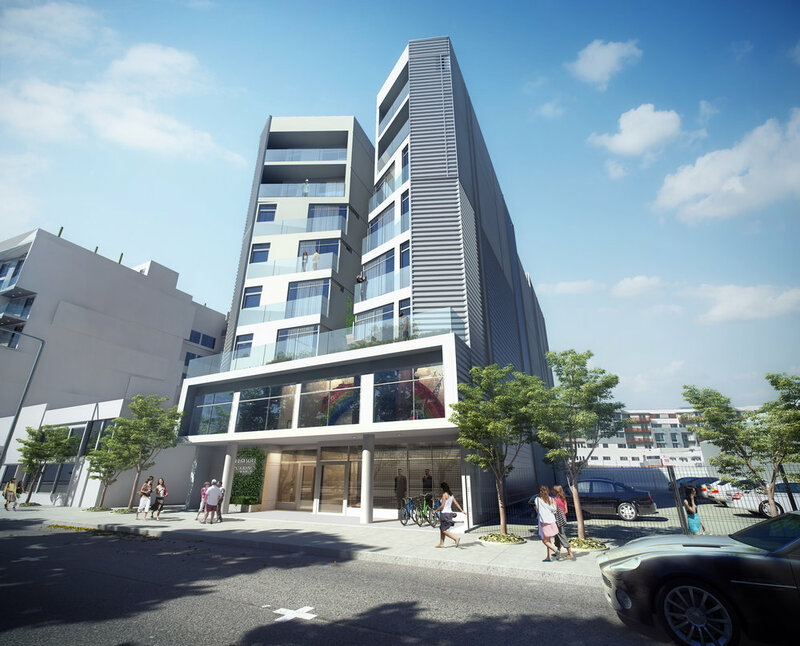 This six-story mixed-use residential project utilizes a radical re-interpretation of the Santa Monica zoning code in order to create open-air living on a tight urban infill lot. 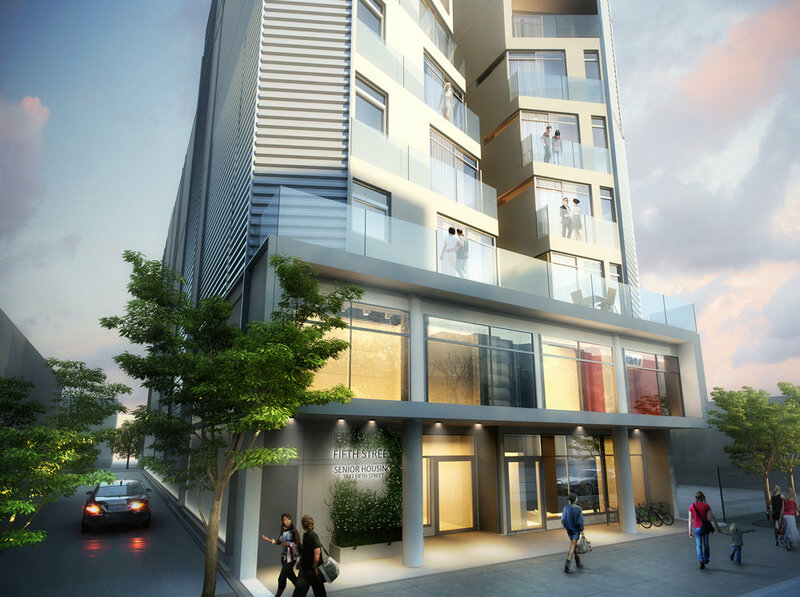 It is located mid-block on the east side of 5th Street in the heart of downtown Santa Monica. 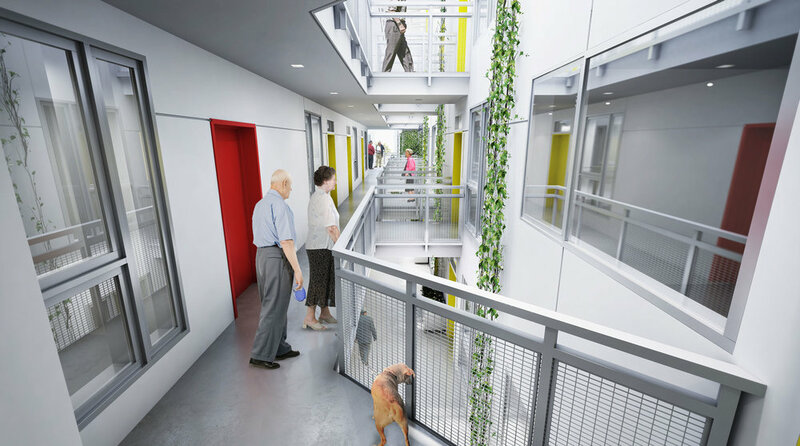 The project provides 43 affordable senior housing units in five residential stories, double-height gym and indoor recreation areas with mezzanines, a business center for residents and 1,000 square feet of ground floor commercial. Along with subterranean parking serving the commercial and residential portions of the building, there are also 40 secured bicycle storage spaces for residents, guests and retail employees. A unique massing strategy was adopted that re-interprets the typical step backs required by the Zoning code, re-allocating the resulting volume. This allows a warped front façade that erodes inward, leading into a central canyon space. 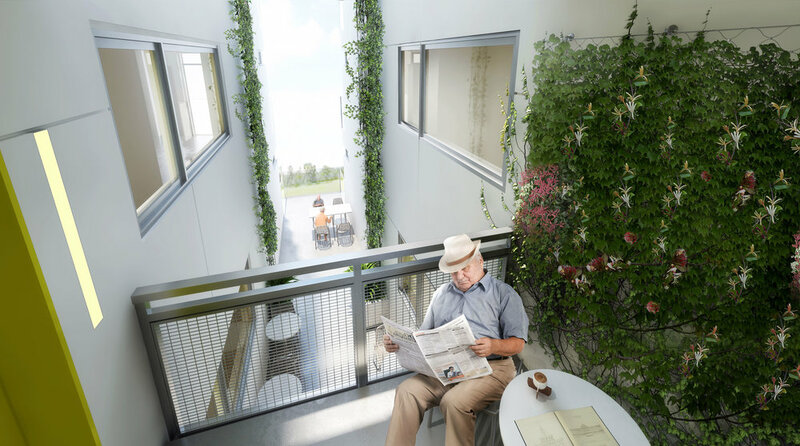 This central volume cuts through the entirety of the building, allowing natural light and ventilation to reach all units, making for an eminently livable environment. 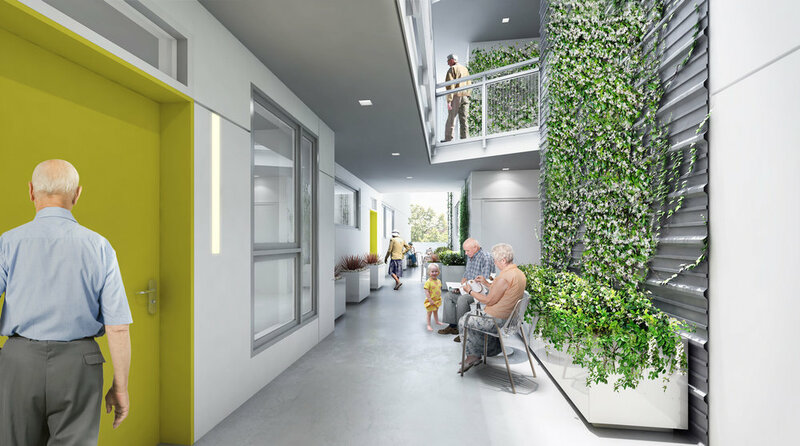 The design focuses on providing natural light and cross ventilation in every unit by optimizing single loaded corridors and eliminating typical double loaded corridors. The building’s orientation maximizes the use of natural light while reducing solar heat gain and minimizing the need for artificial light during daylight hours. On the roof are enough solar collectors to produce the necessary electrical requirements for all of the public spaces. Located one block from the Metro Expo Line terminus at 4th Street, with local bus stops on Santa Monica Boulevard a half block away and on 4th Street one and a half blocks from the site, this project epitomizes effective transit oriented design.